This week Derby City Councillors called on the Derbyshire Pension Fund to divest from fossil fuel and fracking companies . Councillors voted overwhelmingly in support of a motion  to reduce fossil fuel dependence in order to prevent climate change and reduce the financial risk to pension members. 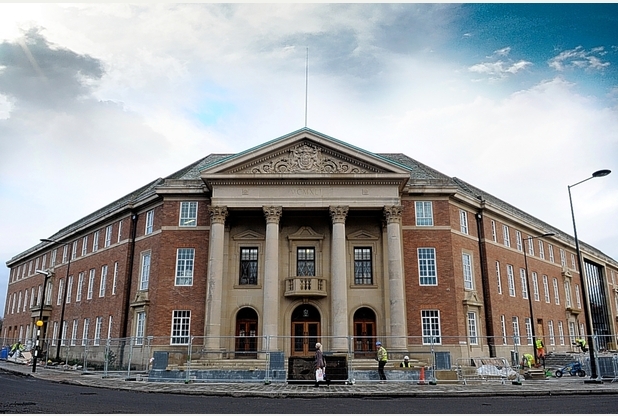 Derby City Council is one of 10 local councils and 190 employers that are members of the £4.2 billion Derbyshire Pension Fund  which is managed by Derbyshire County Council. Two Derby City Councillors sit on the Committee which manages the Pension Fund. Recently MPs have written to the 25 largest pension funds in the country, including some of the large council pension funds, asking them how they are addressing climate risks. Full divestment commitments have so far been made by two UK council pension funds, with a further four making partial commitments . The campaign to divest local council pensions has also received backing from Unison and the Trades Union Congress (TUC) . The Pension Fund has £257 million invested in the fossil fuel companies, which includes £143 million (55%) in companies with major fracking operations. The pension fund affects over 190 employers in Derbyshire including Derbyshire County Council, all the borough and District Councils in Derbyshire; Derby City Council; Chesterfield College; Derby College; Derbyshire Fire Authority; Derbyshire Police Authority; Peak District National Park Authority; University of Derby and a large group of smaller employers. Previous PostAfter the election – what now for climate action?